Designing and making a new home, or renovating an existing one, is a creative endeavour involving many decisions and possibilities across a large spectrum of areas and disciplines – from selection of the site and developing a design brief, working with councils and their rules, and devising and resolving a design, to engaging and partnering a builder suitable to your project. With years of knowledge, experience and training in understanding and resolving these issues pragmatically and with creativity, for many many commissions, the architects at PAUA are well-equipped to assist you with your project. Architecture is in our heart and soul (as it is for many of our clients), and we enjoy and value the dialogue that develops through the course of a project. We invite anyone considering building new or renovating to talk with us to share your thoughts and ambitions. Ultimately – in guiding clients and the project team, and together creating relevant architecture - we at Paua Architects seek to make lives better. Jamie Armstrong Photography produces high-quality marketing/promotional photos for Builders, Architects and affiliated trades in the construction industry as well as residential photo shoots for real estate marketing. I specialise in all aspects of construction photography from residential architecture to commercial architecture and interiors. 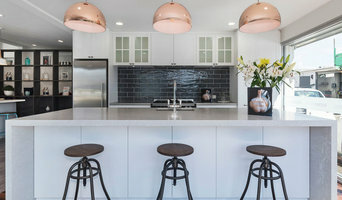 NC Design specialises in custom kitchens as well as interior joinery and benchtop designs for new builds, extensions and renovations for both residential and commercial projects. Our projects are spanned across Christchurch, Canterbury and the Central Otago region. Personalised "one-off" designs can either be purchased by the client or NC Design can project manage the supply and installation of an accepted design. Attention to detail is the essential ingredient of a successful design and NC Design are all about the details. Carefully considered designs that make the most of the available space, the clients' lifestyle and the budget are just some of the reasons why NC Design clients LOVE their new spaces. For more information on our design process and fees please visit our web page. Come visit our Showroom today! Tickdeeaboo will stage your home and transform your apartment or 'the bach' before your property goes on the market. Buyers love visiting well presented homes that make a statement and find homes with lots of exciting collectables and trends from all eras highly desirable. Success when selling your property encompasses de-cluttering from the inside out; from working with the clients furnishings to a full staging. Only a very small percentage of people have the ability to creatively visualise an empty space; empty floors, walls and ceilings convey a vacant emotion. 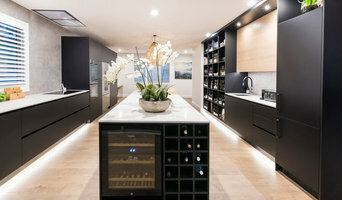 When Tickadeeboo stages a house it gives buyers visualisation of living in the property and ideas for placing their own possessions to create their new home. If you are not going on the market we are also happy to help with setting up your home and personalising it to your needs. We can introduce you to exciting trinket shops or source collectables for you as well as discussing the colours and textiles through your home or in just one room. We can help with the outside of your home (i.e. a patio, balcony and garden areas) as it is important to present these areas as extra living spaces. 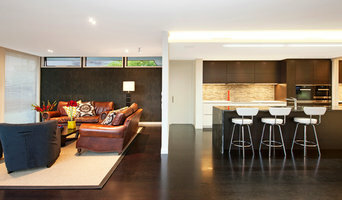 This can enhance your Wellington property for capital gain, potential buyers or investment. Specialising in selling luxurious properties, character villas, retro architecture, new builds, show homes, a variety of apartments/town houses and holiday baches. 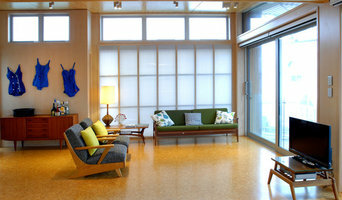 Creative Arch is an award winning, multi-disciplined Architectural Design business, founded in 1998. Creative Arch features an enthusiastic team of talented professional architects and architectural designers, with a depth of experience, from a range of different backgrounds and cultures. Creative Arch is a client focused company committed to providing excellence in project outcomes with active service and vibrant culture. Client service is our first priority. Our guiding principle is to always understand our client's needs and requirements. We take time to listen to our clients, to gain a better understanding of their needs. We view each client's architectural design project as unique and deserving of an original plan and design approach. We work with clients through the complete process from briefing to design, through the consent process, to building and completion. MDS was founded by Director Mark Wilson in 2002. Mark has been involved in architectural design, construction and construction management for over 25 years. Mark is an architectural judge for the Registered Master Builders 'House of the Year' awards. Over the years MDS have established strong working relationships with various consultants, building contractors and planners. These consultants and builders are familiar with our work and high expectations which ensures our dealings are efficient, clear and precise.